Am not psychic but I do own a crystal ball (metaphorically speaking)... And am willing to bet on it... Your next phone would be a China phone. 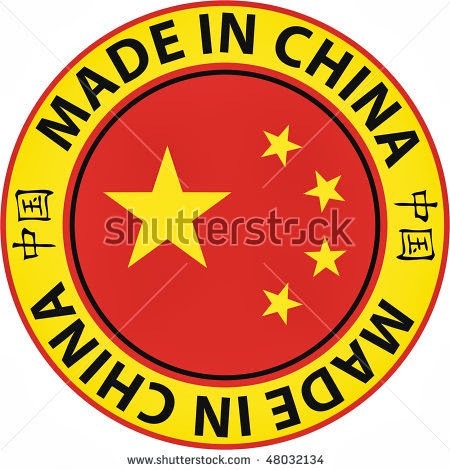 While most people would turn up their noses when presented with a Made in China phone, often due to the societal perception about these made in China phones however it does very little to the fact that the sales of these Made in China products have being on the up and up. According to the latest statistics from Canalys, the top five Chinese vendors (Hauwei, Lenovo, Coolpad, ZTE and Xiaomi) account for 20% of the total number of devices shipped in the last three months which represents a substantial growth. These Chinese brands have sufficiently mastered the art of making devices at low prices when compared to those from Korea or Finland (Samsung, LG and Nokia). And Samsung even recently announced that it would be moving the production of some of its low to midrange devices (Galaxy Star, Galaxy Pocket, Galaxy Core and its feature phones) to China to reduce the cost per head on these devices. Nokia even builds some of its Lumia devices (800, 610 and so on) in China through Compal Electronics and the much applauded iPhone is even made in China by Foxconn. When you look at the smartphone market in certain countries in Africa, they are dominated by even smaller Chinese players like Tecno or itel. And eventually when you factor in some operator branded devices you would find out that these Chinese brands have really come a long and have received little or no recognition for all the work they have done. And when I look into my crystal ball, I can confidently in the nearest you would using a Made in China phone with pride, if you aren't even using one already (considering that most of the parts are made by Chinese hands).So before you turn up your nose when you see someone rocking his Tecno Phantom with pride, please remember that your(the) much coveted iPhone was (is) also MADE IN CHINA. Here's a few fun fact about the wonderful things also made in China or by Chinese Companies. Qualcomm Snapdragon processors are made by TSMC, a Democratic Republic of China (Taiwan) company with factories in Shanghai Mainland China, and Taiwan. Apple's A5 & A6 processor is made by TSMC.